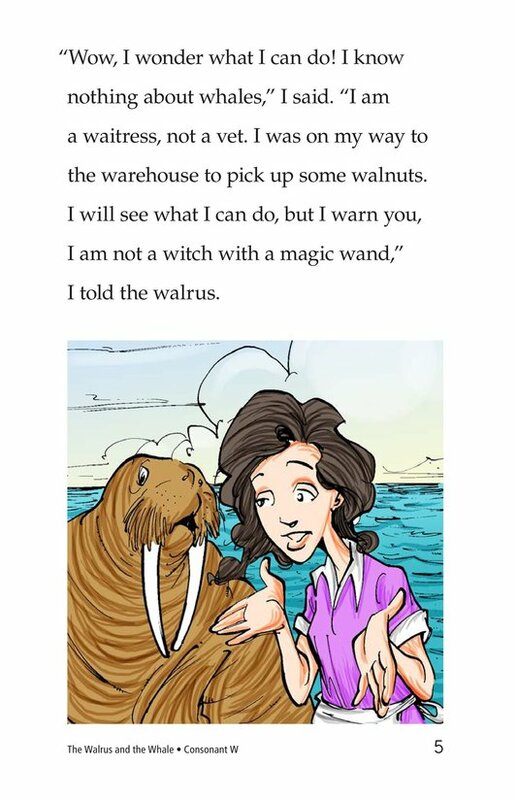 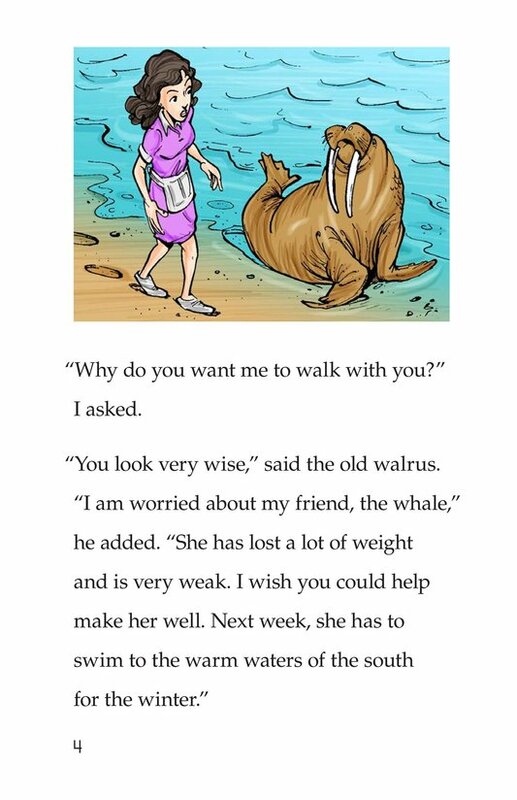 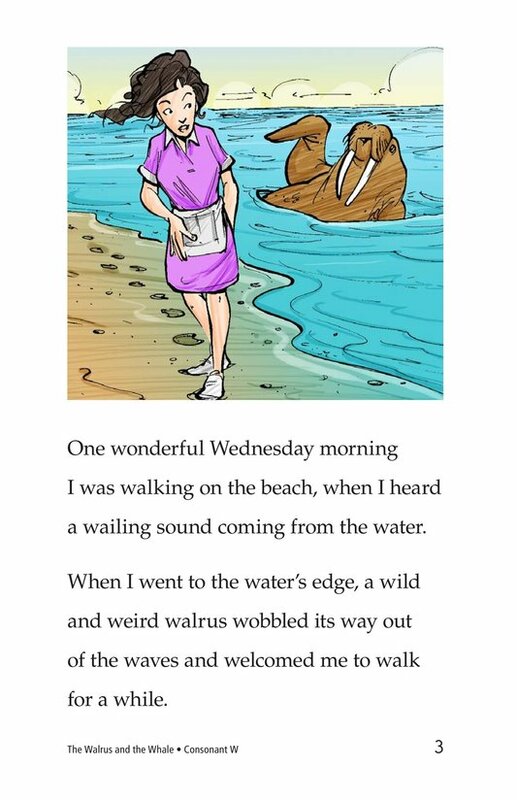 A waitress is walking along the beach when she encounters a walrus. 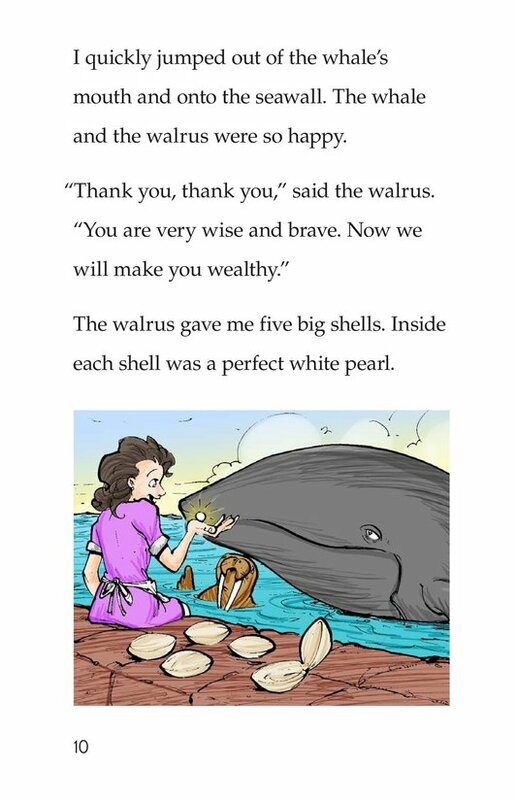 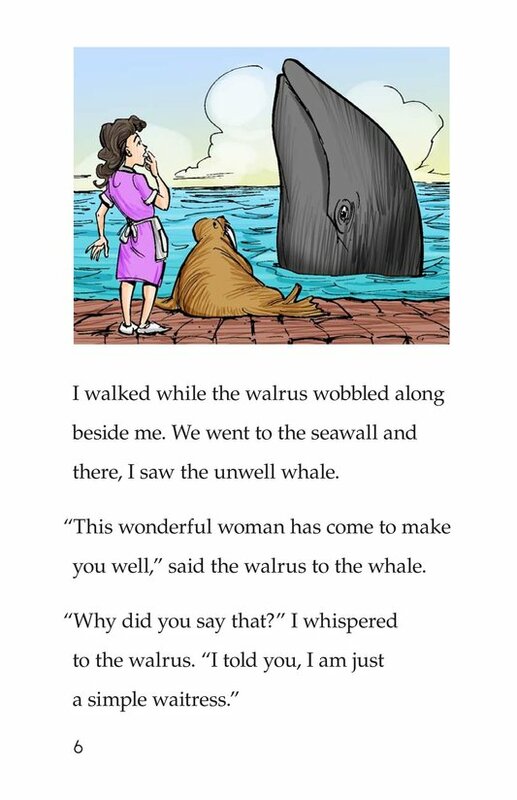 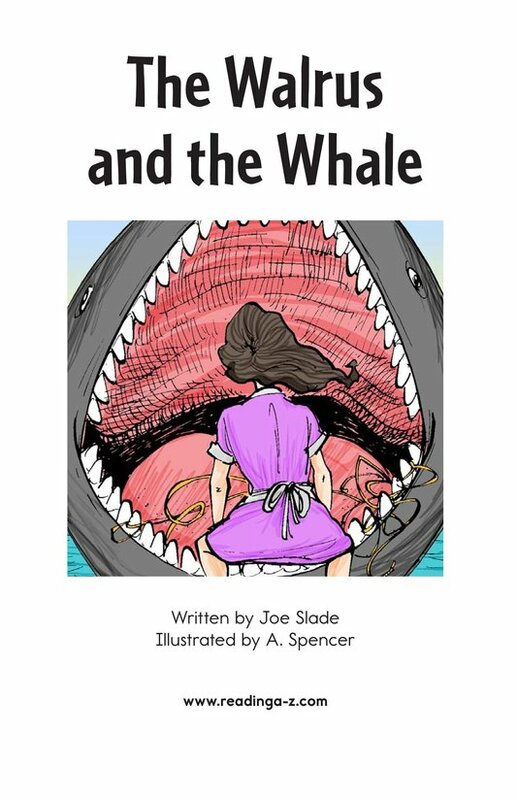 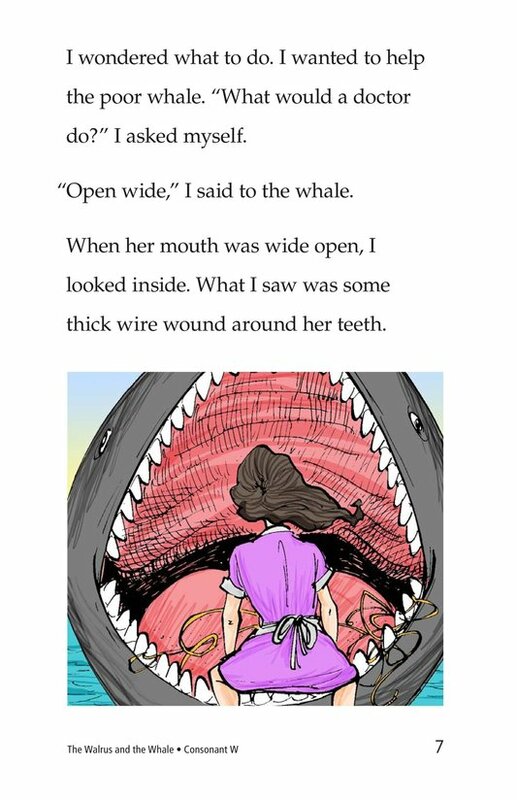 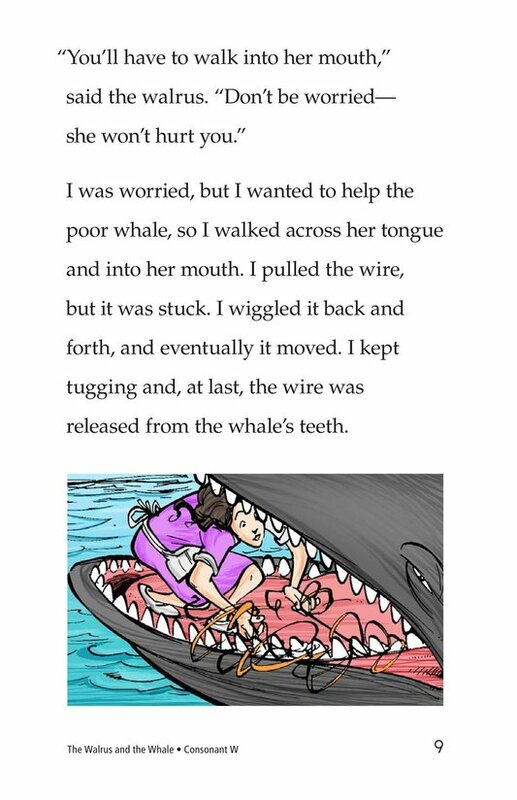 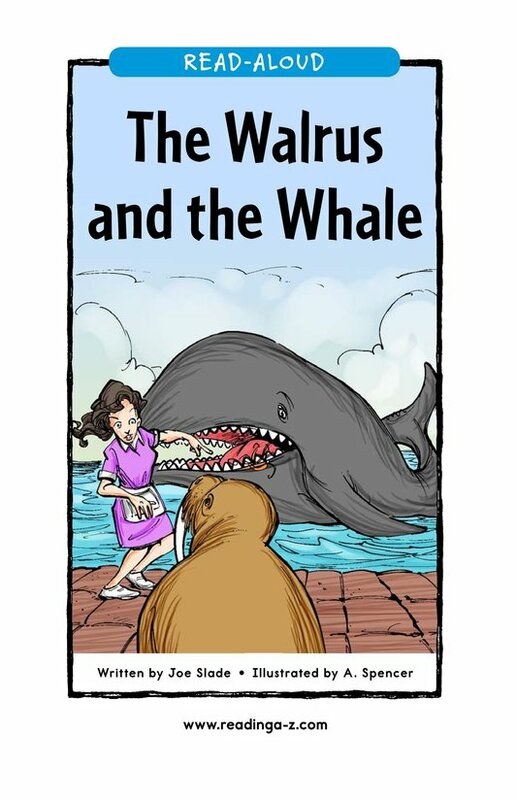 He informs her that his whale friend is in trouble--a wire is stuck around the whale's teeth. 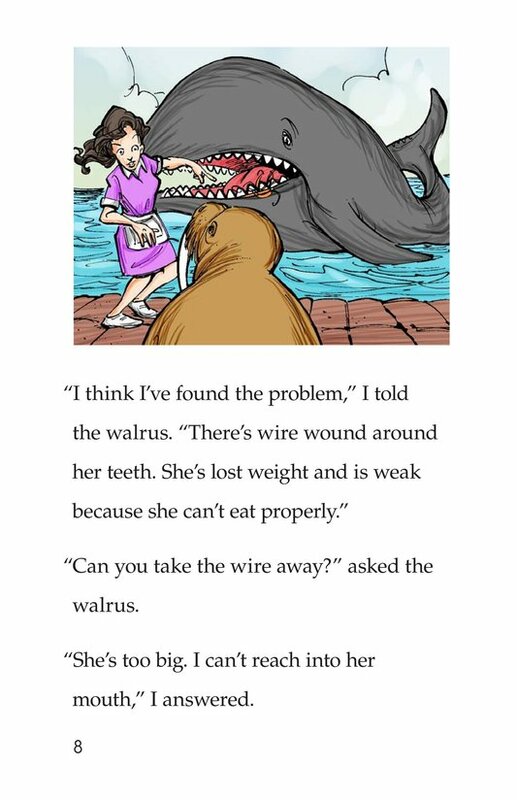 The waitress saves the day by removing the wire, allowing the whale to get better. 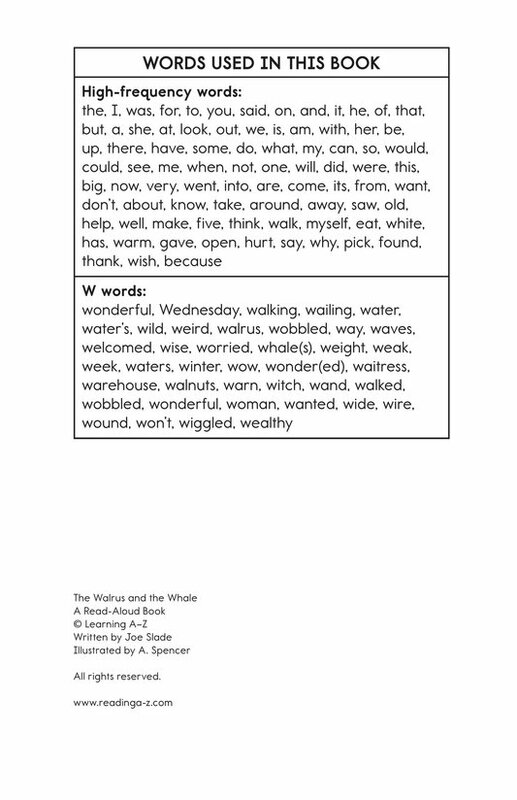 Introduce and expose students to the /w/ sound represented by the letter w.